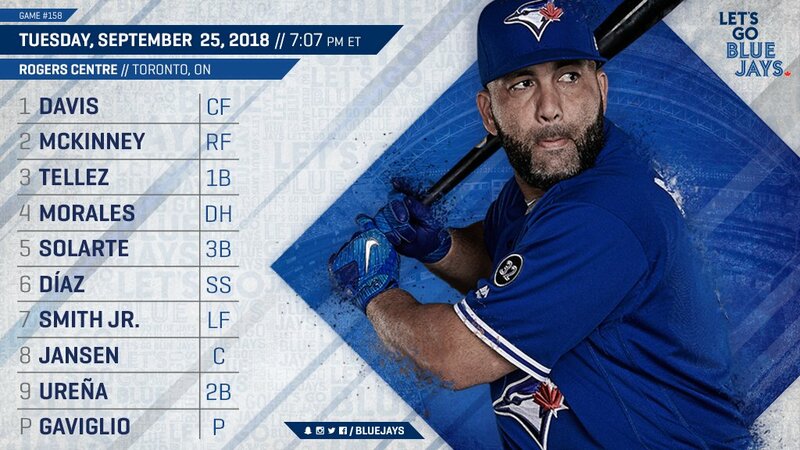 After losing game 1 of the series to the Astros and having to face Roberto Osuna in the 9th inning, the Blue Jays are looking to get back on the winning track and stop the Astros from celebrating their 100th win on our turf and potentially a division clinch as well. Sam Gaviglio takes his gaudy (at least by his overall standards) home-field numbers to the mound as he faces Josh James, making his third big-league start. Well... the Gurriel Brothers reunion fizzled almost as quickly as it started as Lourdes hurt his hamstring while trying to beat out a double-play grounder in the first inning. That's so 2018. Aaron Sanchez underwent surgery on his right index finger today, #BlueJays GM Ross Atkins said. They’ll know more later, he’s expected to be fine for 2019. Crown says complainant has a three-year-old with Roberto Osuna, is currently in Mexico, wants to continue coparenting with him and didn’t want to testify. This is your "58 before 100" game thread.